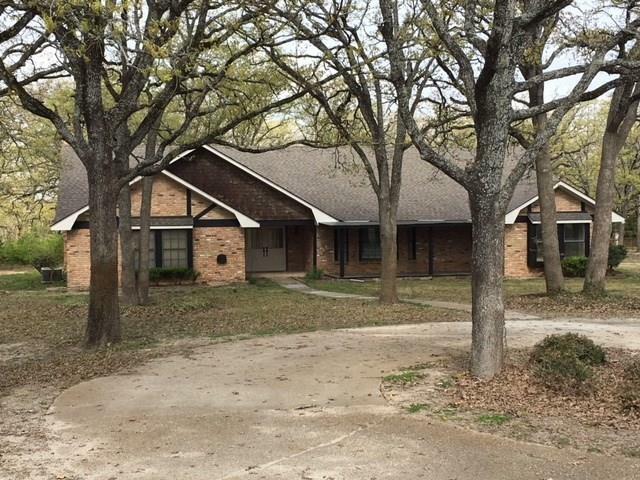 All Teague homes currently listed for sale in Teague as of 04/24/2019 are shown below. You can change the search criteria at any time by pressing the 'Change Search' button below. If you have any questions or you would like more information about any Teague homes for sale or other Teague real estate, please contact us and one of our knowledgeable Teague REALTORS® would be pleased to assist you. 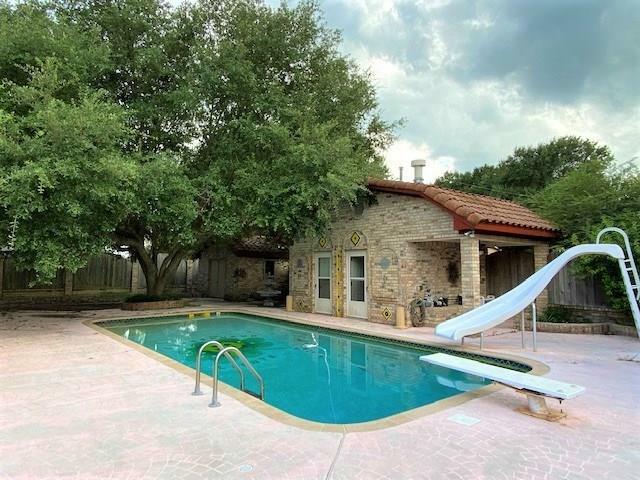 "Tall oak trees, split floor plan, sunken living rm, fireplace, updated island kitchen, granite, entry hall has French doors, covered patio, living rm fireplace flanked by built-in cabinets & shelves plus wood storage, cathedral ceiling & exposed beams. island kitchen, electric cooktop, built-in oven & microwave, built-in desk. Dining rm, open to kitchen, built-in hutch,master suite, sep from other bedrms, window seat, walk-in closet, divided master bath, dressing area, dual sinks & sep rm with t"
"#3 Teague-4 bedroom, 2 bath, all-electric brick, Lovers Lane Addition, clay tile roof, wbfp, in-ground pool with pool house bath, privacy fence, 3,081 sq. ft. per FCAD and built in 1993, approx .513 acres per FCAD, 207 Don Juan." 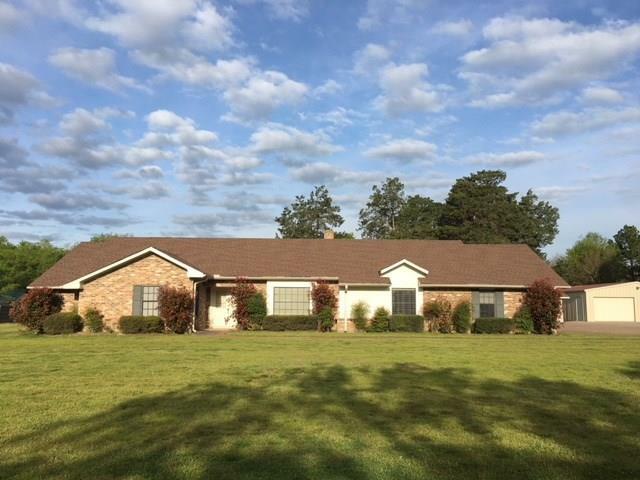 "Nice 3 bedroom, 2.5 bath brick house with 2 car garage and 2 living rooms and office, sitting on 5 acres. House needs some cosmetic work, such as flooring in bedrooms and paint. New HVAC and duct work. Sta. steel app. New fences and gates with predator free fence. Two water meters and a well on property that is 8 in. PVC pipe and 70 feet deep. Barn with 2 stalls and tack room. New 30x40 shop with 12x40 and 20x40 tractor sheds. 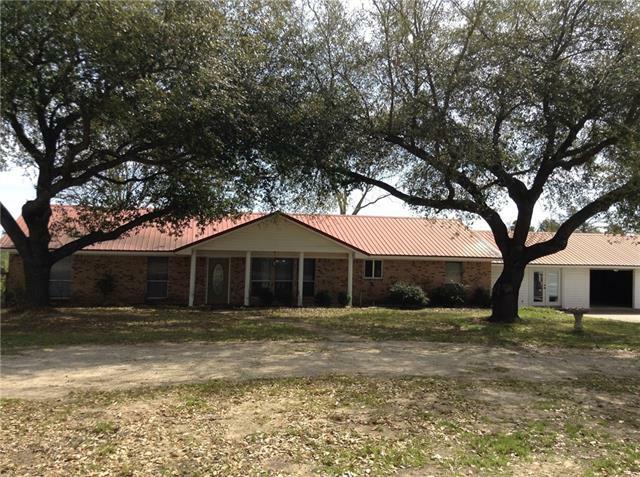 Metal roof, diving in-ground pool that needs liner (seller to "
"Wonderful ranch style home on 2.0 +-acres in Teague. This beautiful home features brick and cedar siding with a metal roof situated under huge shade trees that offers a beautiful setting. Stained concrete floors, specialty painted walls and cabinetry, a brick FP, 4 large bedrooms, 3 bathrooms a sep office-playroom, the dining room, 2 family rooms and the kitchen are all open concept that make this home so inviting and comfortable. Lrg backyd, a workshop on a slab with dog pens and an addition"
"#17 Teague-3bed, 2bath, 2car garage, Beautiful brick home on over an acre lot, Two 30 x 30 metal shops with electric, storage bldgs, covered back porch, driveway paved with easy access to both shops, well maintained home, formal living rm & dining room, den with fireplace, galley style kitchen with smooth cook top & wall oven, breakfast room, master has step in shower and huge walk-in closet, bedrooms 2 & 3 have large closets, hall bath with tub & shower combo, laundry room with freezer space, h"
"BACK ON THE MARKET AT REDUCED PRICE! Traditional home in a fantastic neighborhood! This 4-2-2 home has open dining, kitchen and living areas with wood burning fireplace. Spacious 2 car garage. You'll love the privacy and country feel of the backyard, which is fenced with 20+ native trees. 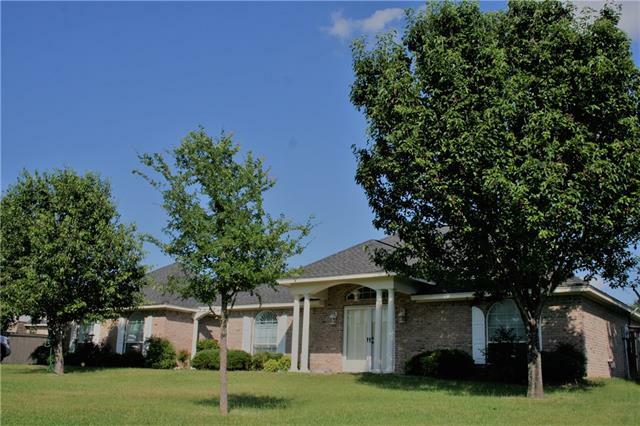 The subdivision is a friendly cul-de-sac, located just minutes from all schools." 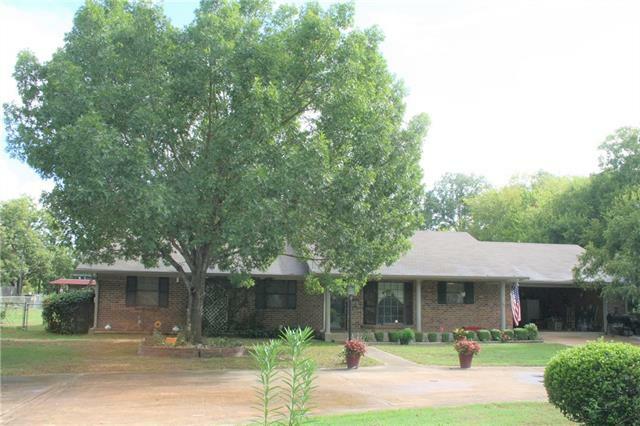 "Traditional 3-2-2 brick home with pool, enclosed back porch, and big fenced backyard. RV parking available at back of property provides to cover camper, RV, boat. One corner of yard is fenced for your garden area." "4 bedroom, 2 bath, all electric 32 X 56 Legacy Mobile Home, approx. 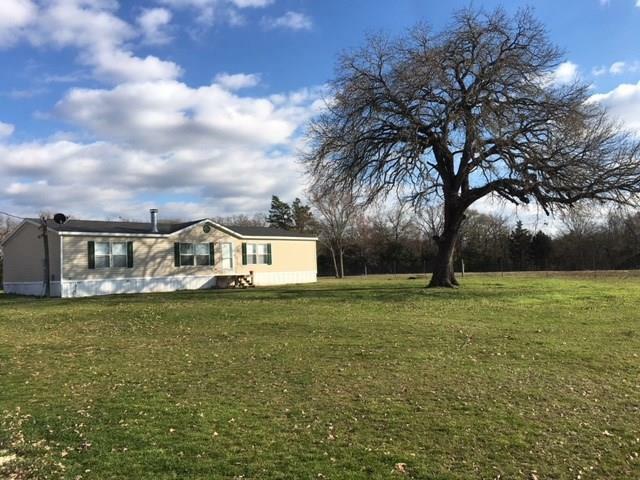 4 acres with creek on one boundary, fenced and cross fenced with gates, non-thru road, home has open floor plan through the living room&kitchen area, fireplace, large kitchen, big pantry, separate laundry room, deck on back, master bath has tub and separate shower, bedrooms 2, 3, & 4 share a large hall bath with dual sink vanity & tub& shower combo, roof installed Nov 2017, furnace & compressor still have approx. 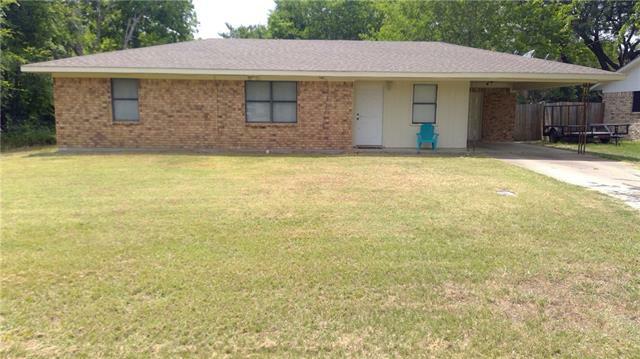 8 years left"
"3 bedroom, 1 bath brick home with attached over sized one car carport. Kitchen has electric stove, dishwasher, and vent hood. Central AC. There is a laundry area with washer and dryer connections in carport. Backyard is partially fenced with chain-link. Located on a quiet street." 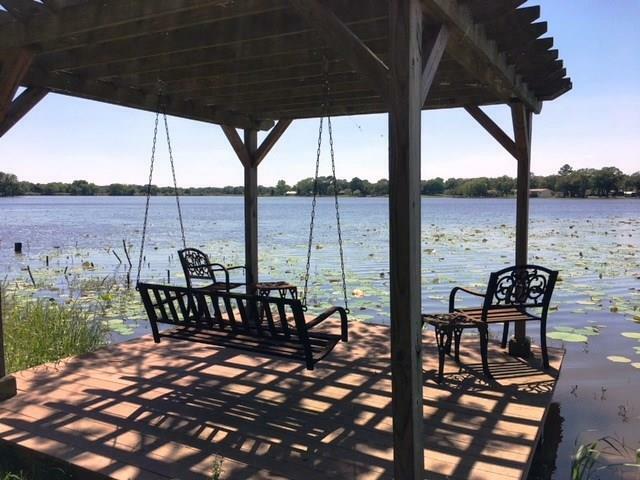 "#2 Teague Club Lake-3bed, 2bath, 2 cp, lake front mobile home, metal roof, quiet & peaceful, perfect for weekend get-a-away or permanent residence, you ll enjoy the water view! 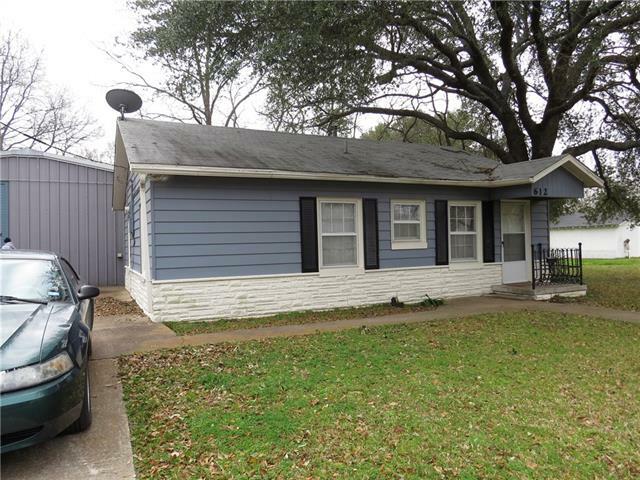 mobile home, built 1995 per SO and 1,232 per SO, 3 bed, 2 bath, 2 car-carport, central h&a, covered back porch, metal roof over house and back porch, storage room, deck with pergola on the waters edge, low maintenance, nice yard, but not too big, minimal yard work, dishwasher, stove, & refrigerator are included, City of"
"This property consist of two dwellings. One is a 2 BR, 1 Bath house and the other is a metal studio style apartment. This is an income producing property which is used as rentals. Both are occupied at this time. The apartment and the house have central heat and air conditioning. There is a wide concrete drive for parking. Each one has a full size kitchen, laundry area, and the bathrooms have a tub shower combo. The house has a covered back patio. The apartment has a loft bedroom space." "Brick home located at the corner of Main St. and 8th Ave in downtown Teague. This home will provide easy access to downtown shopping, churches, and schools. It may also be a good business location. 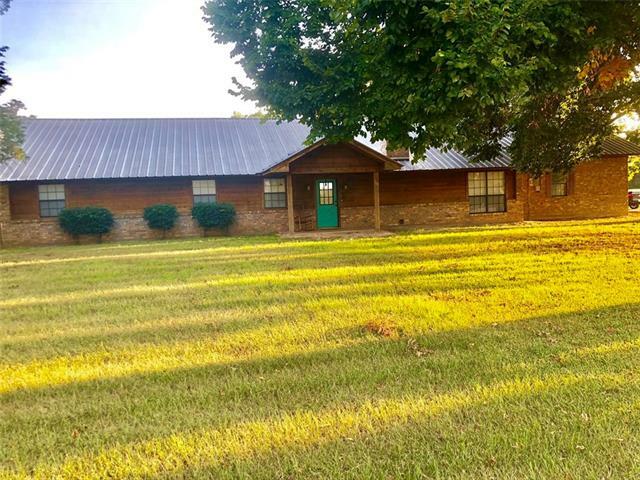 The house has 3 bedrooms, 2 bathrooms, large living room, and a bonus room that could serve as a 4th bedroom, office, 2nd living area, or game room. The kitchen includes a nice size eating area. There is an attached carport. The home needs flooring in several rooms."